ZhongDe Group’s main objective is to strengthen its position in the Chinese energy-from-waste industry with the best energy-from-waste technology and to return to strong and profitable business growth in order to create shareholder value. Within this strategy the Group is focussed on large-size energy-from-waste projects. The energy-from-waste industry will gain strong support from the Chinese Government and will offer promising growth opportunities as one of seven strategic new industry programmes stated in the 12th Five-Year Plan period covering the years 2011 until 2015. In view of this positive market environment we plan to expand our market position and technological expertise. 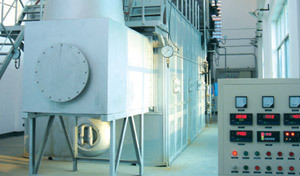 Since 2010 ZhongDe Group’s main focus is on BOT projects including sales and marketing, financing and investment, as well as on the standardization and the preparation of operation of BOT projects, which cover the entire value chain in the field of energy-from-waste (5 phases) compared to EPC projects (4 phases). Due to the macroeconomic conditions BOT projects face an increasing demand in China, while EPC projects are – due to their shorter project duration – still a sales driver for ZhongDe Group. With BOT projects, we generate recurring revenues. Due to the prevailing accounting rules these payments are accounted for as revenues during the construction phase, but subsequently reduce the receivables during the operation phase. After the completion of the current BOT and EPC projects, ZhongDe Group plans to focus on EPC projects. The EPC projects generate revenue and positive gross profit quicker compared to the long-term BOT projects on which the zero profit method is currently applied. In the future, ZhongDe intends to continue to sign more contracts for energy-from-waste projects not only in China, but also in other parts of Asia and the world. This will be done on the basis of an improved project management and more experience gained from the current energy-from-waste projects.